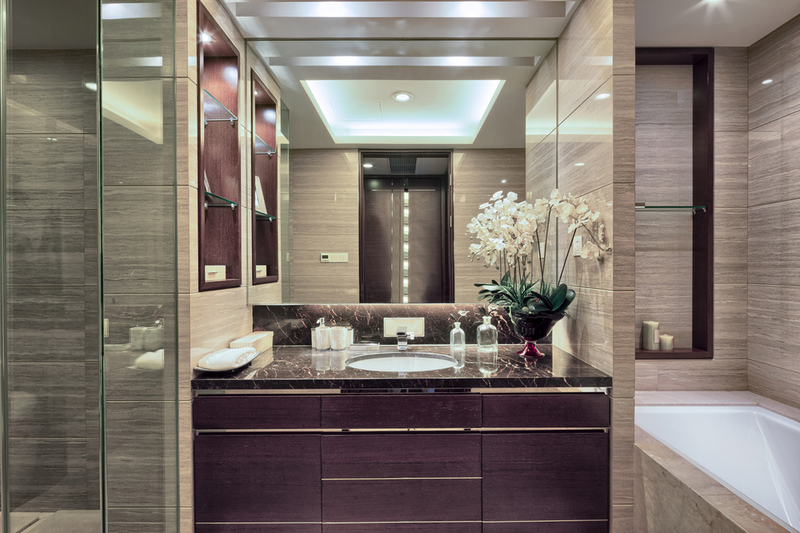 Remodeling Your Bathroom: Is it Worth it? Since people spend a lot of time in their bathrooms, doing a remodel while rehabbing the property seems like a good idea. Will this really help increase your property’s resale value? When you update your bathroom, you don’t only want to increase the value, but you want to add (or keep) functionality, storage, and amenities. First let’s go over the average cost of different levels of bathroom renovations. COUNTERTOPS: Low end granite, culture marble. TILE: Ceramic or standard subway tiles. CABINETS: If they’re in good condition, refreshing or painting them will do. LIGHT FIXTURES & FINISHES: Off the shelf products will keep your costs low. COUNTERTOPS: Higher-grade/custom piece of granite, marble, etc. TILE: Porcelain is not only durable and slip resistant, but also mimics natural stone. Walls: Paint, tile, or any material to make your bathroom unique. CABINETS: Semicustom pieces, glazed, with details and intricate door panels. LIGHT FIXTURES & FINISHES: Higher-quality copper, or bronze fixtures. COUNTERTOPS: Natural marble limestone or granite, etc. TILE: Natural marble, limestone or granite, etc. Walls: Any natural stones or unique materials. CABINETS: Solid wood with custom accent pieces/finishes. LIGHT FIXTURES & FINISHES: Custom fixtures and amenities such as steam showers, heated flooring. People tend to assume that all additions, amenities, or other remodel projects will pay off. But the truth is, you won’t see a return on all of your remodeling projects. For example, a pool is considered a luxury so you would think that people would pay more to have one in their backyard. In reality, pools are considered a burden because they require maintenance. So buyers aren’t willing to spend more money on something they consider a nuisance. Still, according to US News Money, “investing in a bathroom remodel yields a 62 percent return, on average.” Buyers looking to buy a house first look at kitchens and baths. So even though it may be pricey to renovate, these rooms are likely to to pay for themselves. In the end it all about the numbers. If the numbers make sense and you’re able to stay on budget, consider the project a win…and go for it!